As per an article posted by dailytimes.com.ng, Choi Jung-Hyun, the Envoy of the Republic of Korea in Nigeria, on Wednesday said that the Korean Government is to send an international coach to further develop Taekwondo in the country. 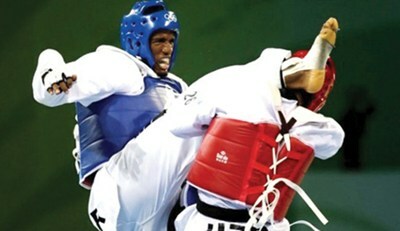 Choi disclosed this at the final of a three-day West African Taekwondo championship held at the Teslim Balogun Stadium, Lagos. The championship, jointly organised by the Nigeria Taekwondo Black Belt College and the Nigeria Taekwondo Federation (NTF), was jointly sponsored by the Embassy of the Republic of Korea and LG Electronics Ltd. The ambassador said that his country was pleased with the commitment and dedication with which the NTF organised competitions for the development of the sport in Nigeria. According to him, Korea would invest in the development of the game by sending an international coach to adequately prepare the Nigerian team for the 2016 Olympic Games in Rio de Janeiro. “That is why my government would be sending an international coach before the year runs out, to further prepare your athletes for the Olympics,” he said. The ambassador noted that Nigeria was blessed with abundant talents in the game, adding that he saw no reason why the country should not excel at the next Olympics. He mentioned Chika Chukwumerije, the 2008 Olympic Bronze medallist in Beijing, China, as evidence that Nigerian athletes were well endowed and only needed a bit of grooming to attain perfection. Choi, who said he was impressed at the performance of the local athletes at the ongoing competition, advised the NTF to continue with their good work, saying that the federation would definitely be rewarded.